Big layoffs are coming to eBay. The company is planning to slash 2,400 workers across the eBay and PayPal parts of the business. The cuts will impact 7% of the workforce. The layoffs will be made before the end of March. EBay said it was "simplifying organizational structures" in its quarterly earnings released Wednesday. 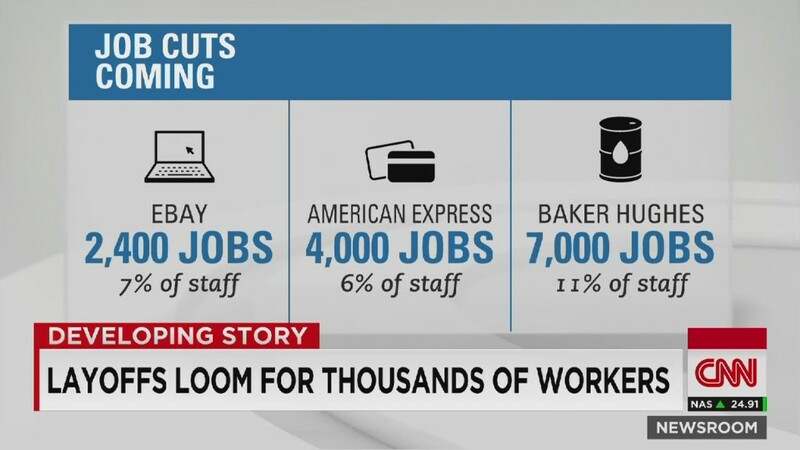 A company spokesperson told CNNMoney that some of the cuts were to unfilled positions, but would not say how many. ebay (EBAY) also said its profit rose 10% last quarter. In September the company announced that it would be spinning off PayPal, its online payment service. That is expected to take place in the second half of 2015.